Motif is a Norwegian quintet that is celebrating just over ten years on the scene. Each of the members has a stellar career on their own, but together they have produced four phenomenal albums that rely on modern thinking but root themselves in the traditional ethics of improvisation. 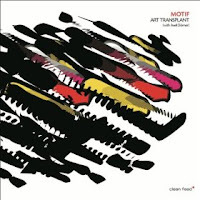 Motif's latest, Art Transplant is their first for Clean Feed Records after two acclaimed records for Jazzland and Aim. Art Transplant feels like it was always going to be the right move for the band. 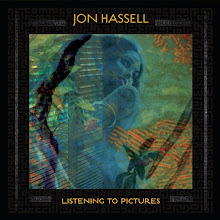 It's risky and combines elements of the ensemble's modern thinking with more adventurous muscle than previous records. "Korean Barbeque Smokeout" starts with a bit of quiet investigation from Nymo before the rest of the band burst through with a collision of sound. The explosion rips the fabric of the harmonics and makes for a beautiful convergence of ideas; at times feeling like Ornette Coleman's quartet circa Shape of Jazz To Come. Dorner and Nymo provide an intense but also playful exchange at the beginning of "Alkiis" which later levels off to improvised dialogue between Dorner and Wiik. Gradually each member returns and the melody ebbs into exchanges for Wiik before the group finally comes full circle for a rousing conclusion. The inquisitiveness of "Something For The Ladies" with Nymo on clarinet playing rich lines that reminded me of Don Byron. The piece is frenetic but with a soft tone just underneath the wind instruments. It's sneaky like nice slice of spy-jazz from the 60s and great mid-section where Wiik gets to fly were some terrific improvised notes. Motif has shown that each album is more diverse than the next. With a solid lineup that doesn't seem to change, the ensemble is always in complete unison. And with Art Tansplant, they've shown that their unity breeds exciting creativity and fluidity.